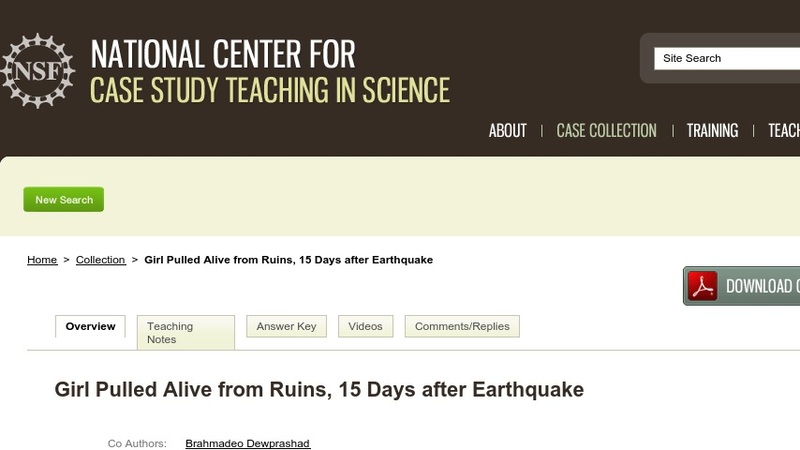 This case examines the integrated physiological response to dehydration and starvation from the real-life report of a girl discovered 15 days after an earthquake devastated Port Au-Prince, Haiti, in January 2010. From the meager scientifically relevant facts reported by the newspaper accounts of the girl's condition, students are asked to work through the pathways of water loss from dehydration as they examine the multiple systems involved in homeostatic responses, and then are asked to calculate whether it is possible for a human to withstand 15 days without water. The case also gives the instructor the opportunity to differentiate between the general adaptive response to a stressor and the specialized adaptive responses exhibited by well-acclimated natives. The case was designed for an upper division comparative or human physiology course or possibly a graduate level medical physiology course.